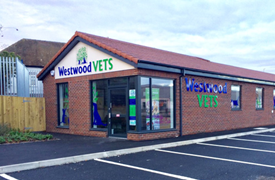 At Westwood we endeavour to provide you and your pet with the best type of service that we can. We believe that when you contact us out of normal working hours it is because you require expert emergency treatment and advice for your pet. Emergency medicine and surgery in small animal practice has become a specialised field, requiring dedicated night staff and hospitalisation facilities. We have therefore taken the decision to refer our out of hours work to a local practice, Holly House Veterinary Hospital, which has intensive 24 hour care facilities out of hours. We have an excellent working relationship with Holly House Veterinary Hospital and will liaise with them regarding any ongoing treatment required. 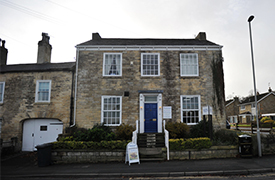 Holly House vets are located at 468 Street Lane, Moortown, Leeds LS17 6HA which is 20 minutes away from Boston Spa. They are a RCVS accredited hospital. They are fully staffed and equipped to deal with small animal and exotic pet emergencies, 0113 236 9030. It is our policy that emergency cases are best dealt with at the surgery where there are full diagnostic and treatment facilities. If you have a problem transporting your pet to the surgery please phone Yorkshire Animal Ambulance on 0845 680 1156 who provide a 24 hour service.